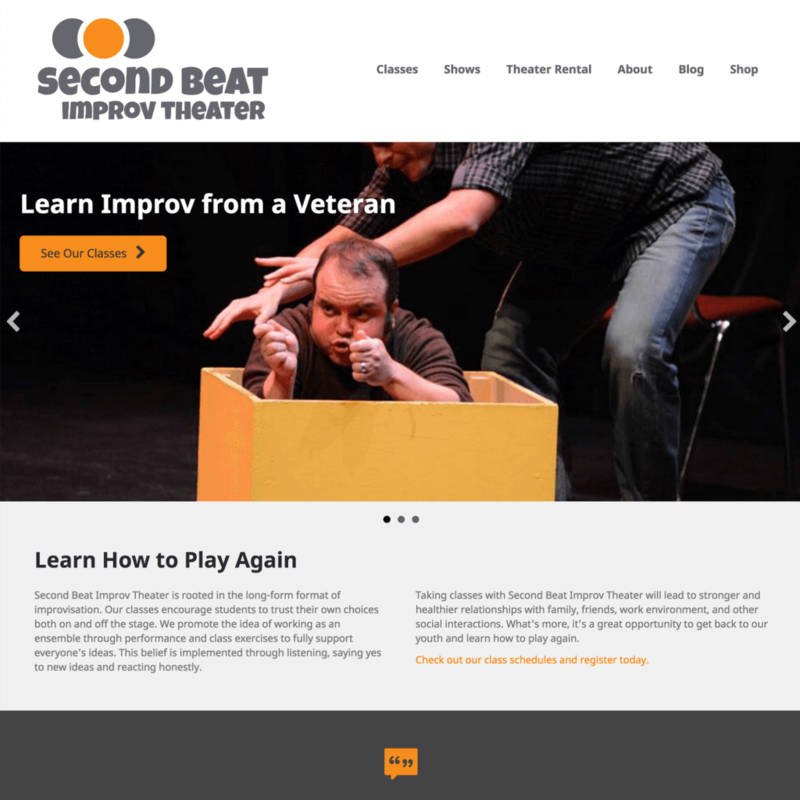 Second Beat Improv Theater opened in Phoenix in October 2016, and we at Eight Trails were honored to be instrumental in helping them get launched. The theater is the personal vision of longtime Phoenix improv performer Sam Haldiman, and takes its name from the three beats of The Harold, one of the standard structures in long-form improv. This being the second theater in which Sam has had a management role, he chose to emphasize The Harold’s second beat, and we followed suit in the logo we designed for the theater. The website, a modern, mobile responsive design with bold colors and typography to emphasize the expressive nature of improv performance, is built on a WordPress platform for ease of updates, is filled with fun performance photos, and features a rolling schedule of shows, classes, and workshops with online ticketing and payment. We provided design, development, and managed WordPress hosting for the project. If you’re interested in improvised comedy and you’re in the Phoenix area, be sure to check out a show or class at SecondBeatImprov.com. Would you like Eight Trails to shine the spotlight on your business with a new or improved website? We’d love to make you a star.